Liz oversees the racking expansion project in the SCH warehouse. 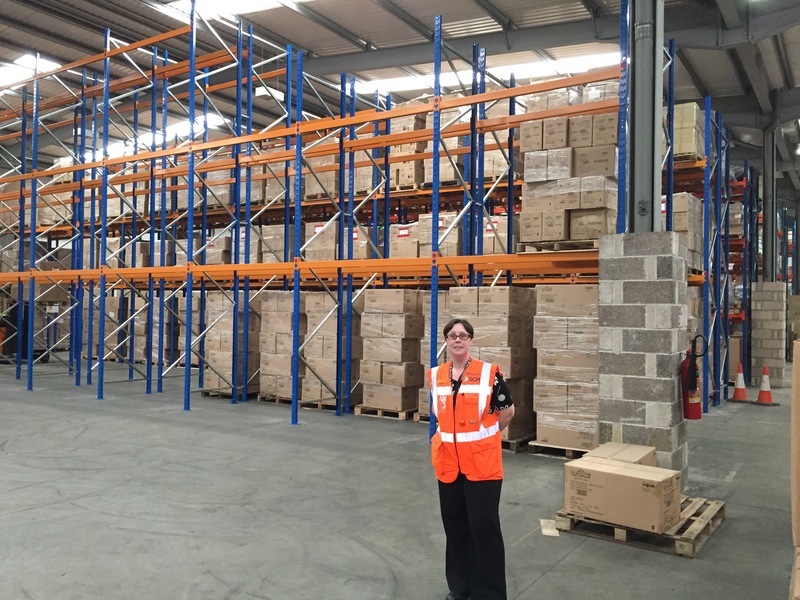 Freight management specialists Southampton Cargo Handling (SCH) have recruited Liz Foster as warehouse manager as they look to expand the business at their 40,000 sq.ft. bonded facility at Totton. Liz joins from international freight forwarders WE Deane where she spent ten years, latterly managing the company’s warehouses at Eastleigh, Derby and Liverpool, along with the related haulage fleet. Her initial task at SCH will be to oversee an investment programme designed to expand and improve the warehouse facilities. SCH, which moved into the new facility last year, already handles a wide range of commodities at the site, including importing toys from the Far East, exporting shipments of stationery, storing cruise ship supplies and loading cars in containers. For more information about our Southampton warehouse contact us.